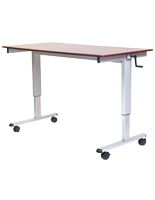 This modesty front work table desk features an ergonomic sit stand design for maximum usability in office, school, or professional environments. 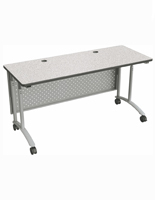 Each adjustable height mobile fixture has a durable gray finish steel base with matching ventilated covered front. 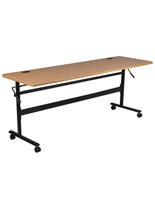 This easy to move 6-foot long work table desk stands on four sturdy caster wheels, two of which lock for stability. 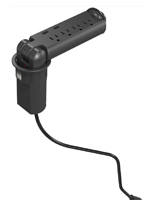 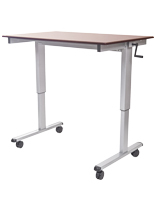 Designed for sitting or standing use as a workstation or training table, the fixture is easily adjusted from 30” to 38” high as needed. 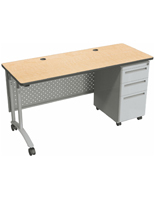 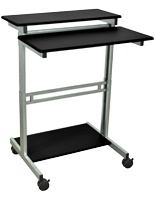 This mobile ergonomic work table desk is an economical choice for busy schools, offices, or conference centers. 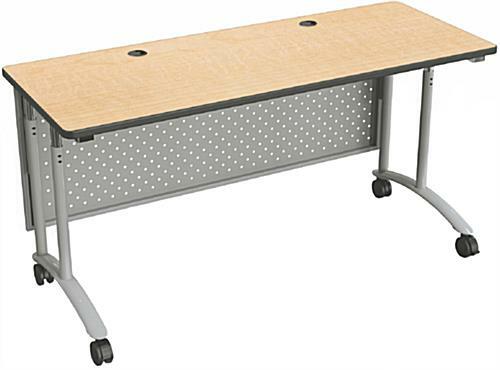 This type of stylish classroom furniture is designed for maximum usability in a wide variety of business, professional, and educational environments.